Along with tuition, the cost of textbooks has been a significant driver of skyrocketing higher education costs. But in an unexpected turn of events, the average price of textbooks decreased by more than $10 from January 2017 to January 2018, according to CampusBooks.com, an online book price comparison site. The cost of textbooks has risen four times faster than the rate of inflation in the last decade. According to a recent report from CBS News, the main reason for the skyrocketing cost is the decline in used book sales. It's not that savvy students don't know they can save money by picking up a used textbook. Kaitlyn Vitez, a higher education advocate for U.S. Public Interest Research Group, told CBS News that students are increasingly required to obtain electronic versions of texts that expire at the end of the semester. "Students might have been able to resell the textbook in the past, but because the access code expires, it renders the textbook worthless," she told the network. CampusBooks is a site where students who are allowed to use physical textbooks can compare prices for new and used books. The company says used book sales represent an average of 45 percent of all sales from 2016 through 2018, compared to 30 percent for new books. Renting textbooks is a growing option, with nearly 20 percent of books falling into that category. While electronic textbooks are the fastest-growing segment, it still makes up a very small percentage of the overall total. The slight drop in the average cost of books could be a hopeful sign. "The sign of college textbook decreasing runs counter to the 20-year narrative of staggering price increases, which will be beneficial to those strapped with large student loans," said Alex Neal, CEO of CampusBooks. "Students may be completely digital these days -- growing up on tablets and smartphones -- but when it comes to the college classroom, hardback books still represent the best value and learning tool." 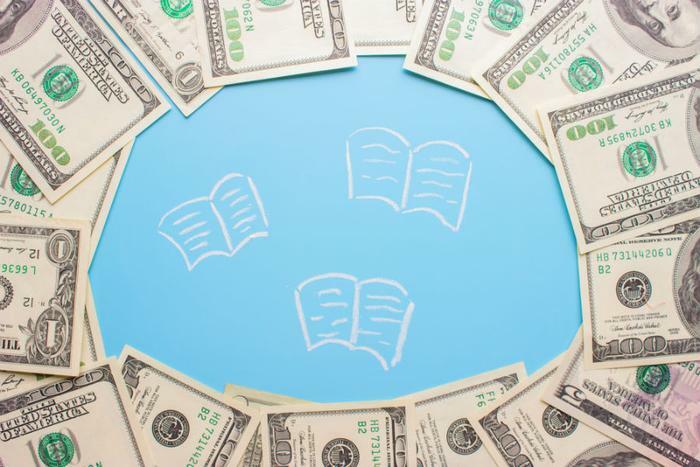 Neal said students might like the cashflow convenience of leasing textbooks, but they can actually put money back in their pockets by taking advantage of textbook buy-back programs. "Rentals might be the cheapest but they don't help pay off student loans," he said. According to the College Board, the average textbook costs for a year at a four-year public college is $1,250, making up 5 percent of a student's total college expenses.